Whether it's white-washed or traditional red, now that this exposed brick wall is all yours, how do you blend it with the rest of your décor? 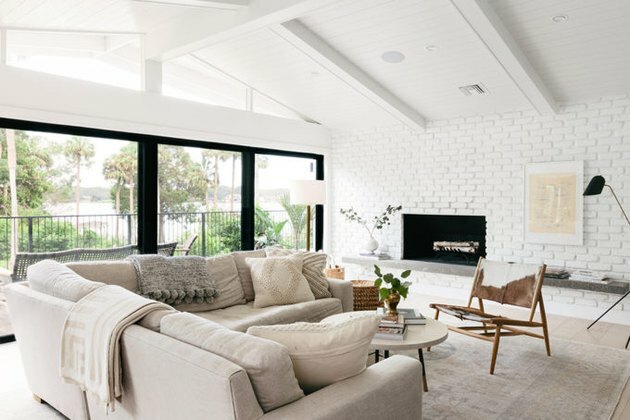 Since buying all new stuff isn't really part of the budget, read on for 10 killer ways to rock that beautiful brickwork in your humble abode. 1. You can never go wrong with a classic. 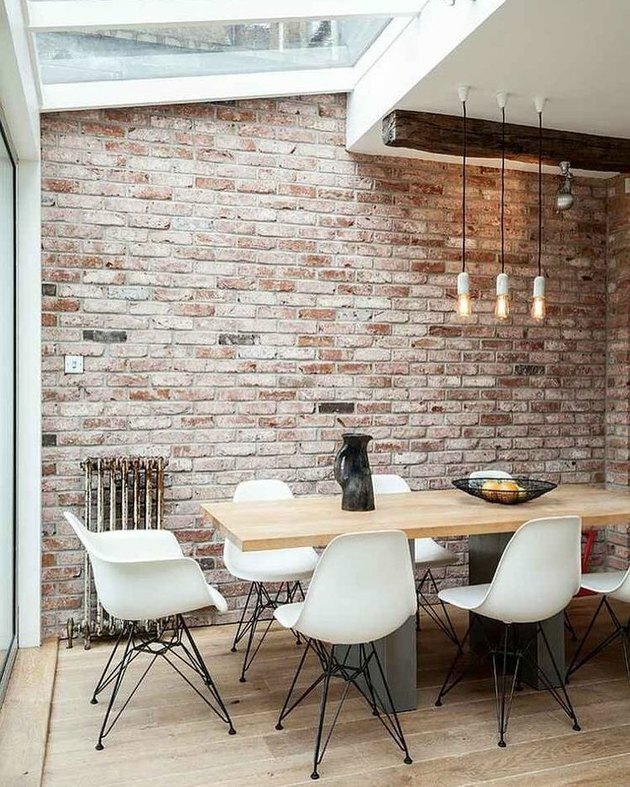 When the owner of this Amsterdam pad moved in she couldn't even see this beautiful brick wall. It was only after three days of grueling work that the original brickwork was exposed. Sometimes it pays off to embrace your home's original bones — celebrate it, don't try to hide it. 2. Don't be afraid to paint your wall black. A few coats of black paint don't have to feel gothic or depressing. Remember, this is an accent wall you're working with — not the entire room. Check out how modern this Joshua Tree bathroom is. 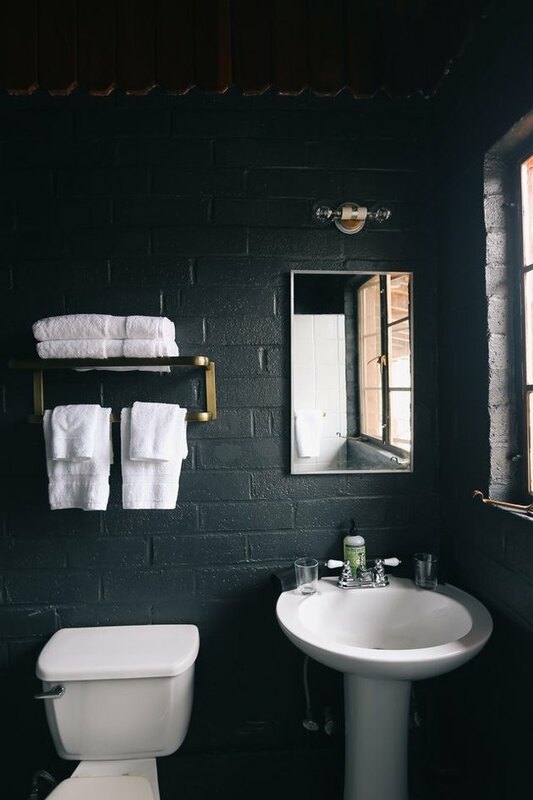 Thanks to the black-painted brick wall it now has a dramatic, old-school yet classy vibe. 3. Dress up your wall with an artistic mural. Be creative, and add a mural to your brick wall. 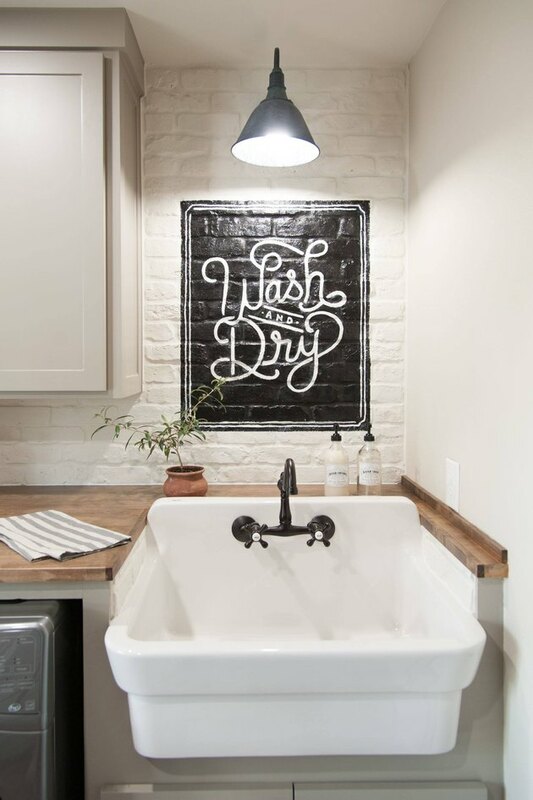 This black-and-white retro painting gives this farmhouse-style laundry room a little extra character and charm. 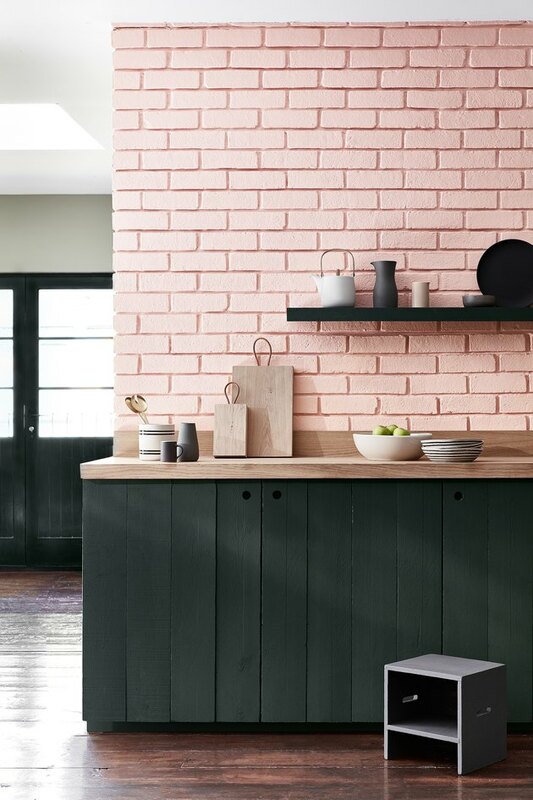 Consider adding a pop of color to your brickwork, like this sweet millenial pink hue by Little Greene. We're just swooning over this kitchen's gorg blush wall complemented by greenish-black cabinets. 5. 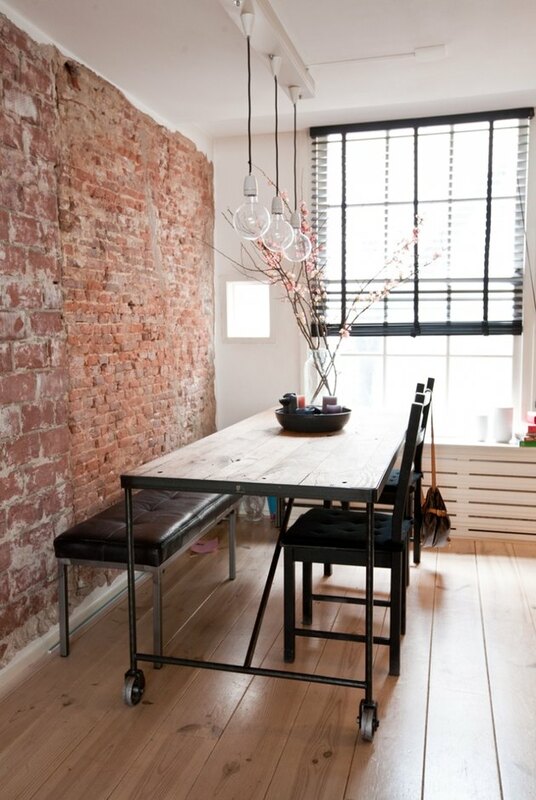 Decayed brick is oh-so-industrial chic. 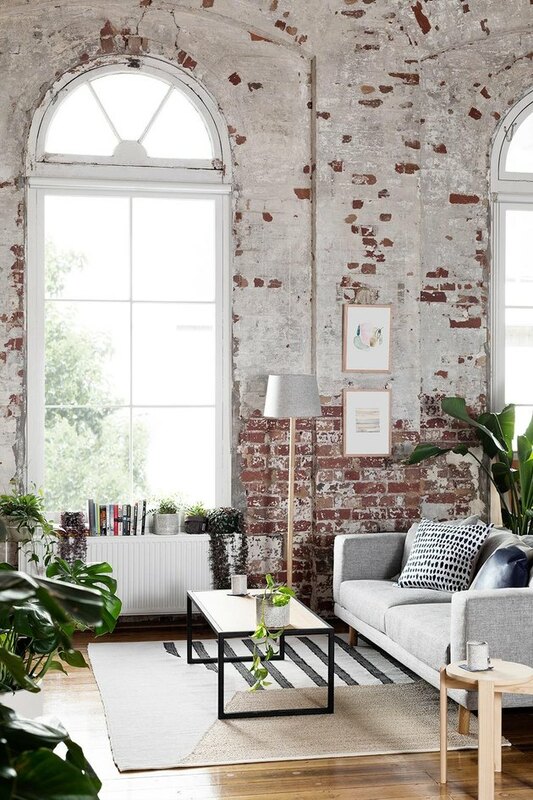 For a more rustic, industrial look, give your brick walls a once over with latex paint or limewash to create a decayed brick aesthetic like this Melbourne loft. Aching for a chic beach-house vibe? Then painting those bricks white is the way to go. Rifle Paper Co. founders Anna and Nathan's living room wall is a picture perfect example of how beautifully calming this all-white look can be. 7. Don't limit yourself to just one color. Suffering from a case of indecisiveness? Well lucky for you, you don't have to choose. 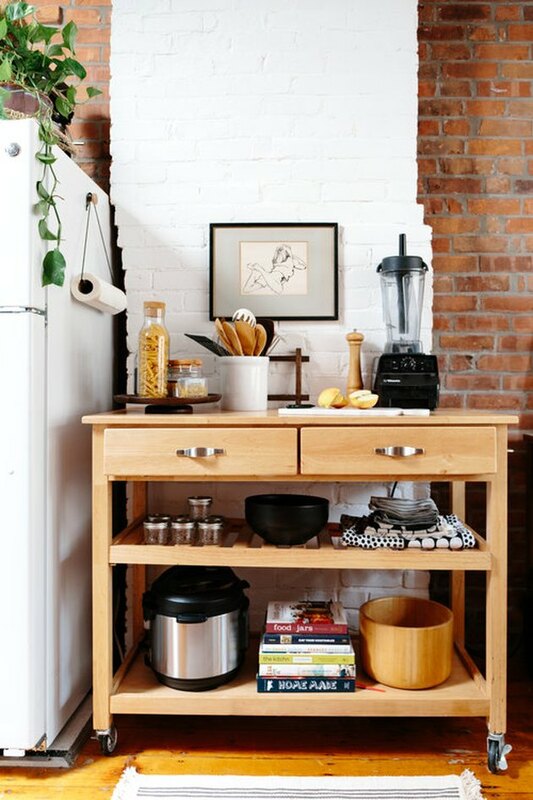 This quaint kitchen boasts white and traditional red brick to add visual interest as well as delineate space. 8. Continue the fun outdoors. Show your outdoor brickwork a little love, too. These rugged surfaces make great backdrops for lush greenery. 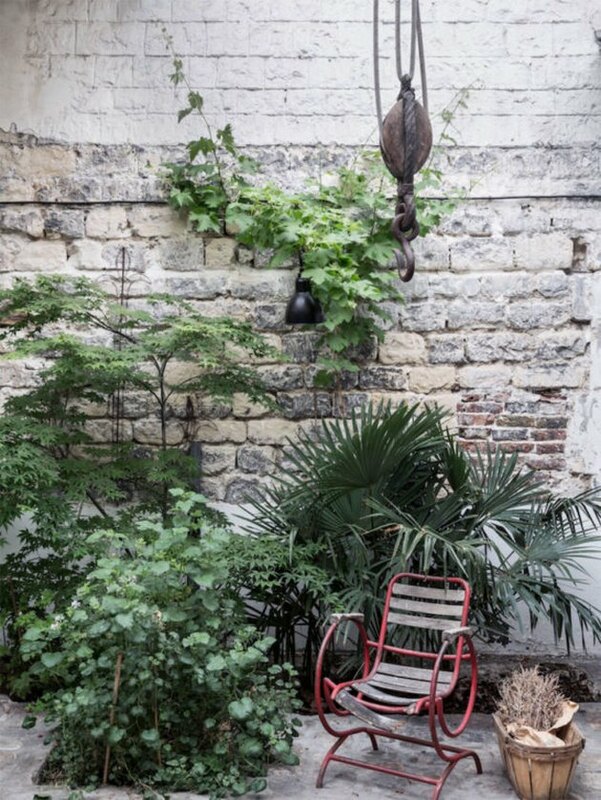 Consider hanging planters and trellises to create your own living wall like the artist Ema Pradère did in her lovely Parisian studio. 9. Jazz it up with metallic paint. Sure, it might seem bold to gloss over those bricks with shiny silver or glittery gold, but go big or go home, right? 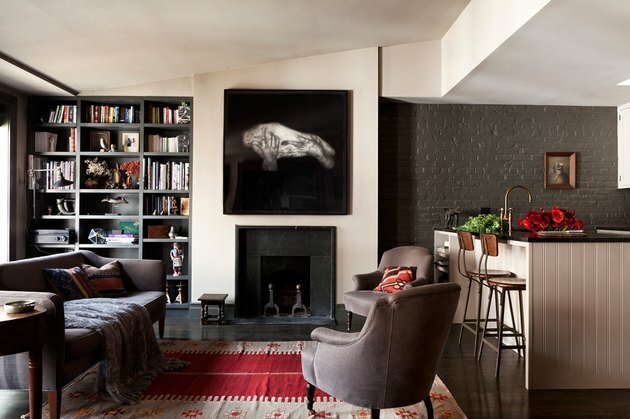 This soft shade of metallic charcoal gray — for an apartment done by CWB Architects in Manhattan's West Village — subtly shines as it blends in seamlessly with a collection of art and books. 10. Give your brick wall a German schmear makeover. No, this isn't the latest cream cheese for your morning bagel. German schmear or "smear" is a mortar wash technique where you literally smear mortar mixed with cement over the brick to create this whitewashed effect. 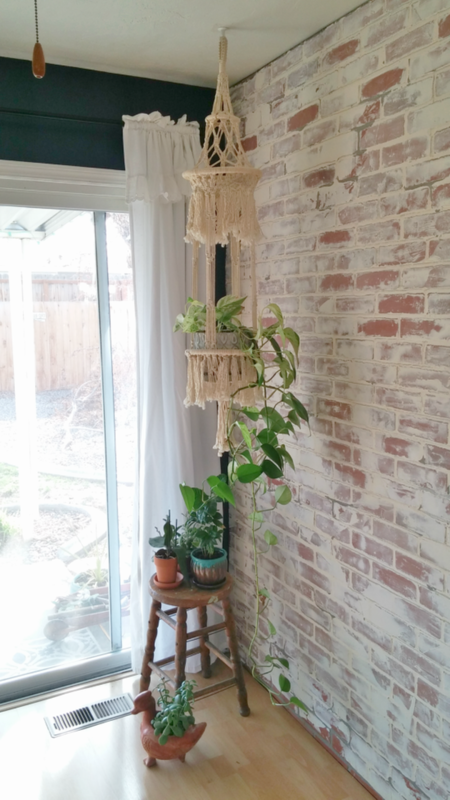 Check out how Tania from the blog Little Vintage Cottage transformed her living room wall using this crafty approach. And did we mention, this is actually a faux brick wall she DIYd?